Vending PlanogramBuilder is a 3D merchandising software specifically designed for the Vending industry’s needs and constraints. Successfully planning the placement of your products in a glass front vendor is a major factor to increasing your sales. Vending PlanogramBuilder makes this task easier thanks to its online 3D environment where you can design, evaluate, optimize and communicate your ideal space planning. 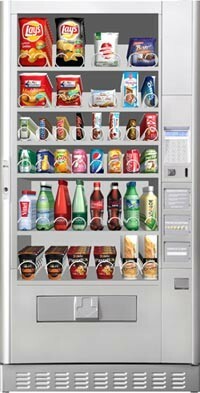 Vending PlanogramBuilder provides top-class visualization of your products and facings. Reports, schematic views and high resolution images can be published for your sales team, route drivers and clients as guidelines for vendor implementation. When importing sales statistics, Vending PlanogramBuilder calculates the best assortment and shows in real time the turnover forecast and stock value. To know more or ask for a free trial, please contact us.